Any of the classes at Big Cat Textiles. 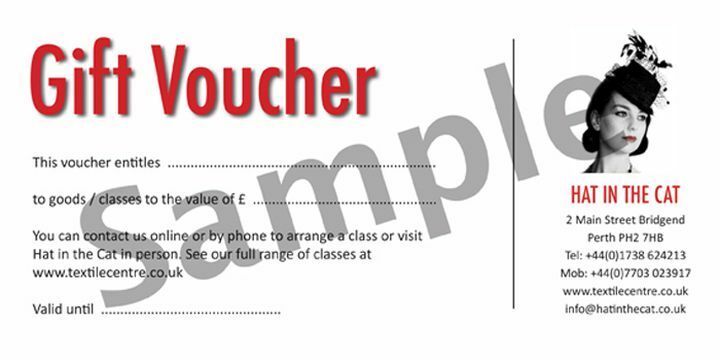 To purchase a voucher please call into the shop, contact us by phone 01738 624213 or email alison@textilecentre.co.uk and we can mail them out to you, or directly to the named recipient if required. Gift vouchers have an expiry date of one year. Gift vouchers are numbered and kept on file in Hat in the Cat so in the event of loss please do get in touch.